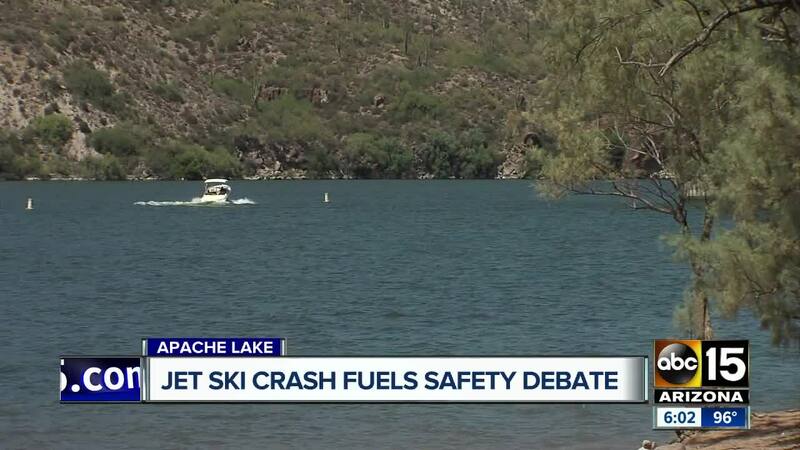 Four children have been hospitalized with serious injuries following a crash involving two jet skis on Apache Lake Sunday evening. Officials say the accident occurred just before 7 p.m. 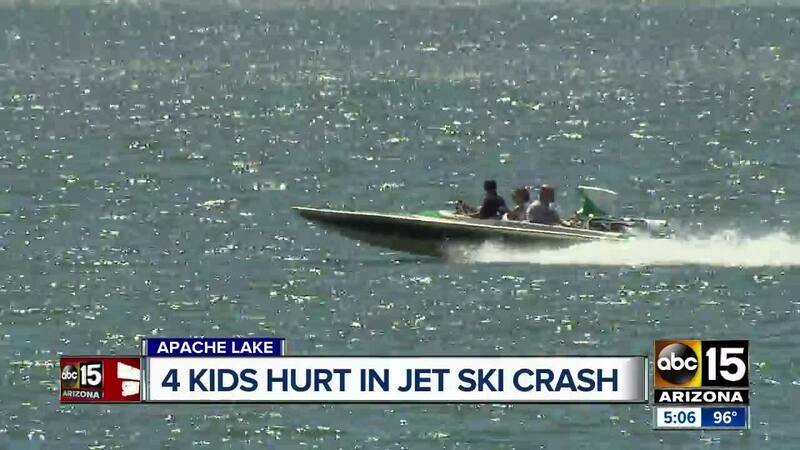 According to Maricopa County Sheriff's Office, three boys and one girl with ages ranging from 11 to 14 were found by a passerby after a collision between two jet skis. Their injuries are considered serious, but none are life-threatening, MCSO said. Three had to be flown out by a helicopter to hospitals. 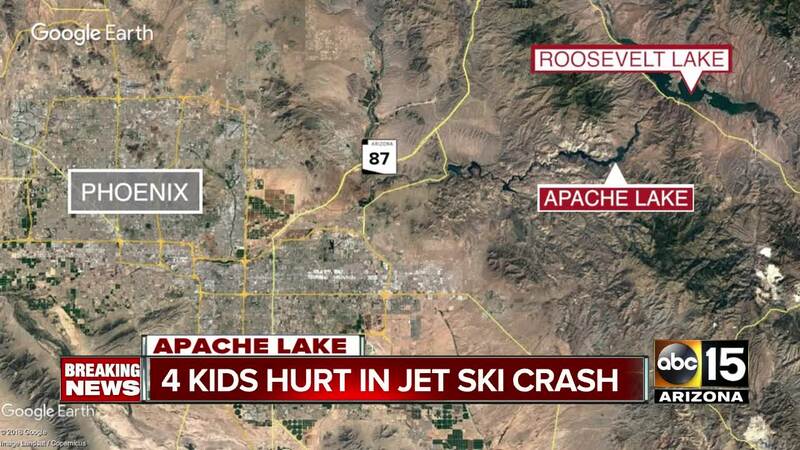 According to deputies, each jet ski was being operated by a 13-year-old. The legal age to operate a watercraft is 12-years-old. All of the kids were wearing flotation devices which played a major part in preventing further injuries, deputies said. According to deputies, the kids were visiting Apache Junction and do not reside in the Phoenix area. No additional details were immediately available.